Hello, y'all...it's been a while. 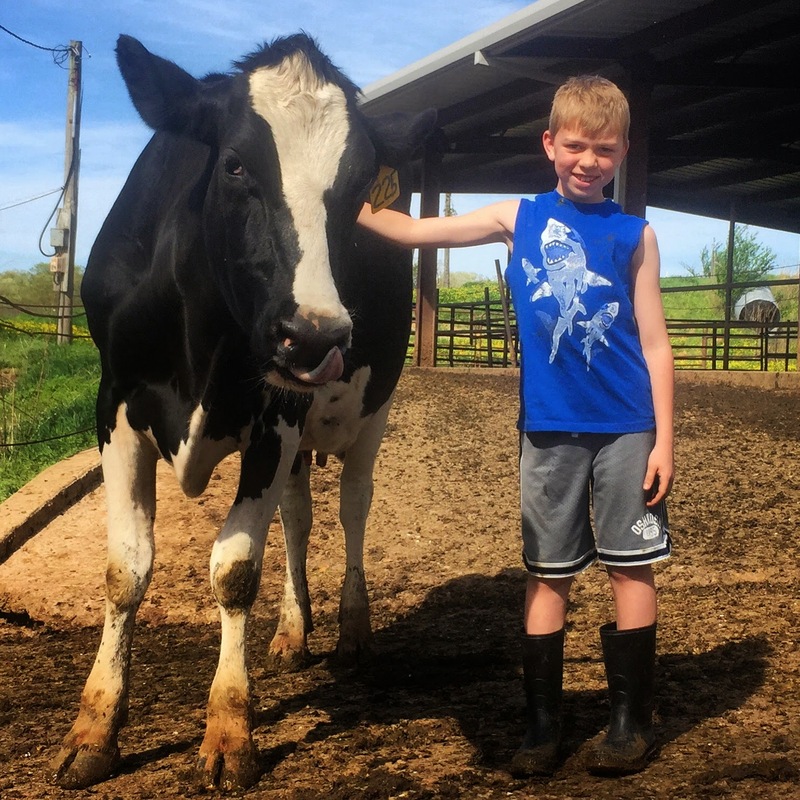 After a long blogging hiatus attributed primarily to my preference to nap during meal breaks rather than type away on my old, slow desktop computer, I'm back to let you know what's been happening on Gilmer Dairy Farm and also with myself. If there's one word I could use to describe the first 3.5 months of the year, it would be "wet". We're currently in a holding pattern of sorts, unable to begin planting corn or harvesting spring forages until we can string together several days of sunny weather. More rain is likely for the next several days, so we'll be out of the field for at least another week. Once we finally get favorable weather conditions for field work, I foresee some longer-than-normal days in my future. 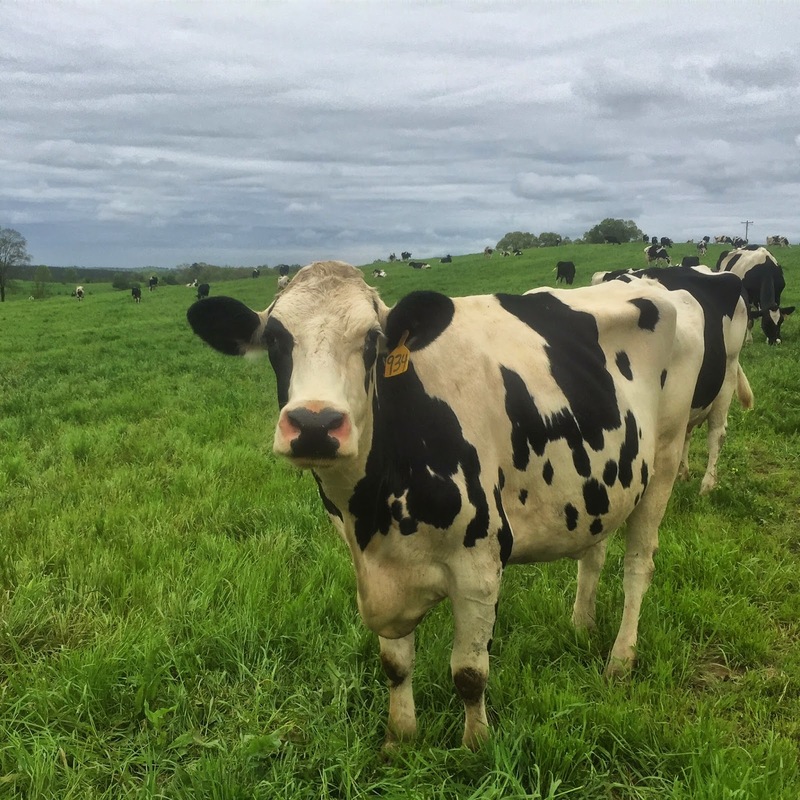 On the cow front, we have been turning our cows out on grass for supplemental morning grazing over the past three weeks. We currently have 212 cows milking, and they are holding steady at an average of 66 pounds of milk a day each (we peaked at 70 last month). We won't be having many calve or dry off in the next few weeks, but we'll start seeing some turnover by late May. Meanwhile, it's time for our younger heifers to receive their vaccination boosters, which we started administering today. Personally, I'm about as "free" as I have been in a while. My term as one of USFRA's "Faces of Farming and Ranching" came to a conclusion at the end of last year, and I am no longer a part of any other groups that would have me traveling on a regular basis. And I'm telling you, it sure is nice to take a step back for a while! I'm getting more done on the farm, spending more time with my wife and kids, and will hopefully be a little more visible around our community. I might even be able to set aside enough time to play golf once a week...though I doubt it. Between now and whenever I blog again, I'd love for you to connect with me via the social media channels over on the right side of the page. You might even catch me live streaming on Periscope if you play your cards right (and have an iOS device). And for you locals, let me know if you'd like me to come talk to your group about my farm or farming in general one evening...I'd love to do that once or twice a month once we get caught up on our farm work. Until next time, y'all have a "dairy" good day.